At Grad Shop we stock a full line of certificate holders, graduation diploma covers, blank diploma covers and printed diploma covers. 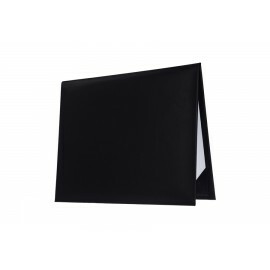 Our lineup of diploma covers and award folder are sold to companies all around the USA. 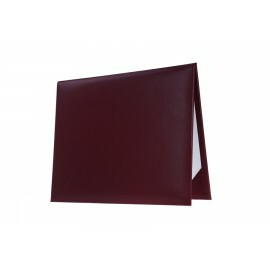 In our line we have maroon diploma covers, black diploma covers and navy blue diploma covers. 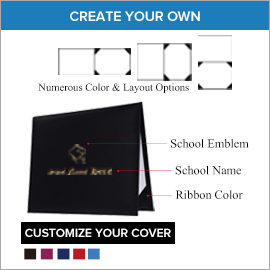 We understand what is needed to produce and create the perfect diploma cover for your 2017 graduation. 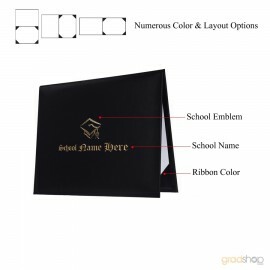 Gradshop.com is your #1 source for all your graduation diploma cover needs. 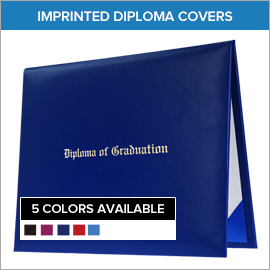 Contact our customer service today to ask about our diploma covers.